The Thompson Hotel (with it’s fab rooftop bar!) and the super quaint and perfectly located Inn at the Market are two of my favorite spots. The Space Needle: Book a reservation for dinner at the top, or just take the elevator up to the observation deck for a photo. The Smith Tower: My favorite building in Seattle, views from the top of this historic building are unbeatable. 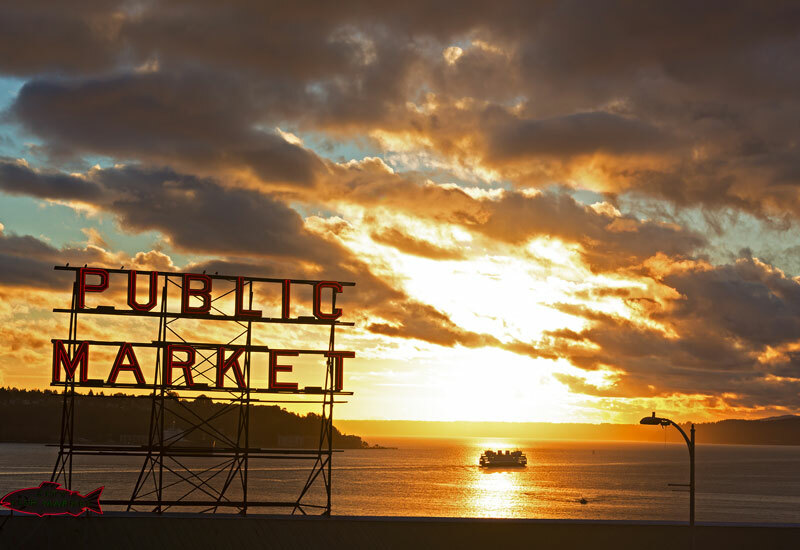 Pike Place Market: Your trip to Seattle is officially incomplete without stopping at the market. It’s just as much of a tourist trap as it is a local fave (I take my boys every Christmas Eve to shop for ingredients for our Christmas dinner—everyone gets to choose an ingredient at the market to add to the feast). Ballard Avenue: Hipster to the bone, Ballard Avenue is peppered with the coolest boutiques, specialty shops, restaurants and cafes (I love Anchored Ship). Check out Luca, The Palm Room, and stay for dinner at Stoneburner, Bastille, Gracia, or San Fermo—all personal faves. 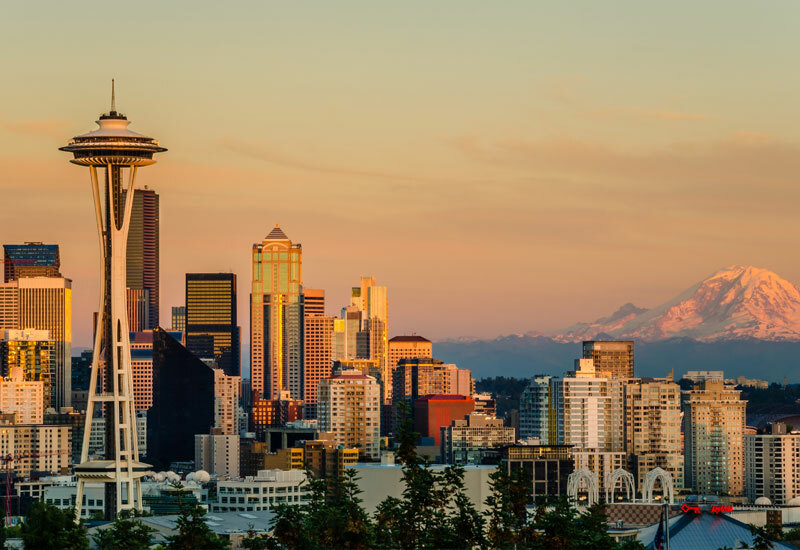 Queen Anne: Grab lunch or dinner at one of many restaurants or cafes in this charming Seattle neighborhood, then stop for a photo at Kerry Park, nearby, which boasts some of the most fabulous views of the Seattle skyline. Greenlake: Home to my novel, Goodnight June, I’ve always had a heart for the Greenlake neighborhood. On a dry day, go for a jog or a walk around the 2.8 mile lake, which is gorgeous any time of the year, but especially in spring and autumn. Capitol Hill: If you love music, as I do, hitting up Seattle’s Capitol Hill neighborhood is a must. In fact, when I was a teenager, I’d ride over on the ferry with friends and spend entire Saturdays wandering from one cool venue to the next (in Doc Martens, of course), then finally ending up at some rock concert, where I’d find a payphone and beg my parents to let me stay out an hour later than my curfew, ha. When in Capitol Hill, grab an espresso, check out a few record stores, or have a drink at a local bar where Seattle’s most legendary musicians (Kurt Cobain, Eddie Vedder, etc) used to hang (and some still do). Do a little sleuthing and you can check out the apartment building where the movie Singles was filmed. 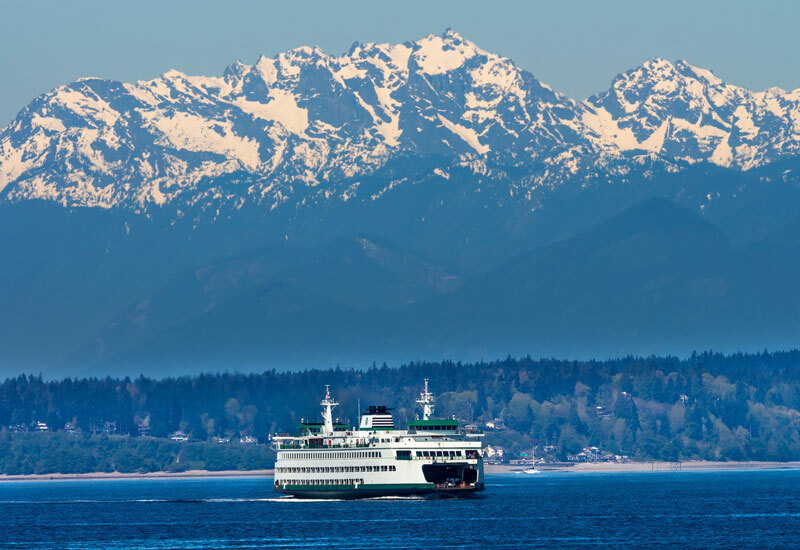 Bainbridge Island: Perhaps my favorite place in the world, this sleepy little island beside my hometown of Poulsbo, Washington, is the setting for my first novel, The Violets of March. Take the ferry over from Seattle (just a quick 25 minutes), and wander through the little town of Winslow. Be sure to stop in at Eagle Harbor Bookstore (where you might be able to find a signed copy of one of my books), grab a coffee and scone at Blackbird Bakery, and dine at Marche or Hitchcock. If you’re feeling adventurous, jump on a bike and find your way to Hidden Cove Road where the ghosts of my characters Emily, Jack, Bee and Elliot from Violets still haunt. Serafina: Just up a few blocks from the charming houseboat community on Lake Union, where my novel Morning Glory is set, is the charming restaurant, Serafina, which also is set in the novel. This rustic Italian Seattle fave never disappoints, and if you’re lucky, you can catch some great live jazz while sipping a nice glass of Nebbiolo. 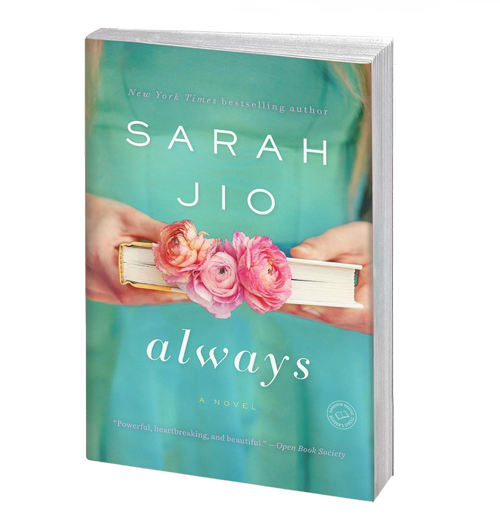 True story: Once, when I was having dinner at Serafina with a friend, a woman approached me to ask if I happened to be the author Sarah Jio (yes indeed!). She then told me that she had come to the restaurant that night for the first time after reading Morning Glory, which was such a fun moment for me. Greenlake: When my children were little, I used to take them to “story time hour” at the most charming children’s bookstore in Seattle’s Greenlake neighborhood: Mockingbird Books. Sadly, the shop closed somewhere around the time my third son was born, and I was so sad! Inspired by the plight of traditional bookstores in today’s world, my novel Goodnight June was born. Grab a coffee and walk around the 2.8 mile lake, where my character June spent her days. Windermere: One of the oldest Seattle neighborhoods, both The Bungalow and Blackberry Winter are set here (where I live). Take a walk around the perimeter of the neighborhood and you might just spot each house that appears in the books. Pike Place Market: Four words: The Look of Love. My seventh novel is set right in the heart of Pike Place Market. Walk the cobblestone streets where my characters lived and loved. Wild Ginger: Have dinner at one of Seattle’s most loved restaurants which appears in a few key scenes of Always. My favorite menu item is the sea bass! Lake Union Houseboats: When I set out to write my fifth novel, Morning Glory, I rented a houseboat as my “office” for a summer. It turned out to be the best research decision I could have ever made as my experiences that summer all went into the book and made it that much richer of a story. 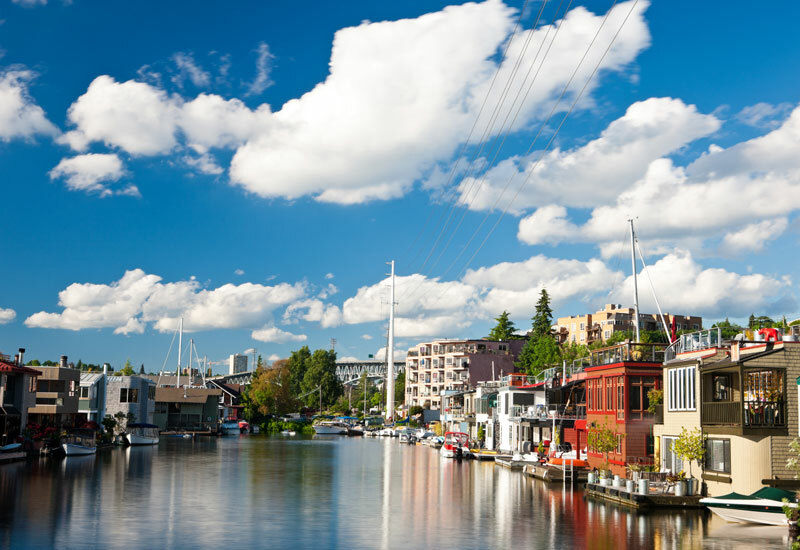 If you’re interested in seeing Seattle’s iconic Lake Union houseboat community, it’s well worth making an effort to do so. While some of the docks are gated, several are not, and most locals don’t mind visitors poking in (politely) to see what life on the lake is like. I am 100 percent smitten!